A Man sleeping … yes! Or, am I dreaming it? Photograph courtesy of Gemeinfrei, in the U.S. public domain. “Then are you a teacher?” the student asked. “Then what are you?” The student was frustrated. Video posted to YouTube by The Buddha Gallery. 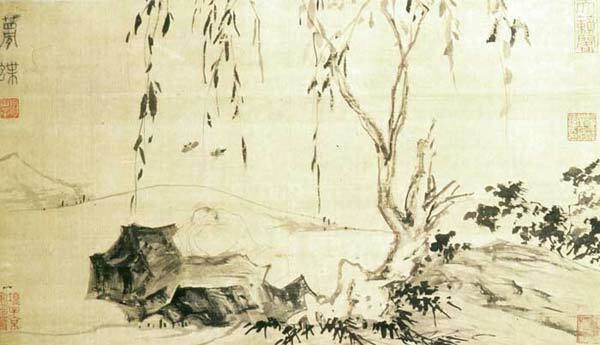 The Three Refuges: The Buddha, meaning the historical Buddha or anyone who has achieved enlightenment. 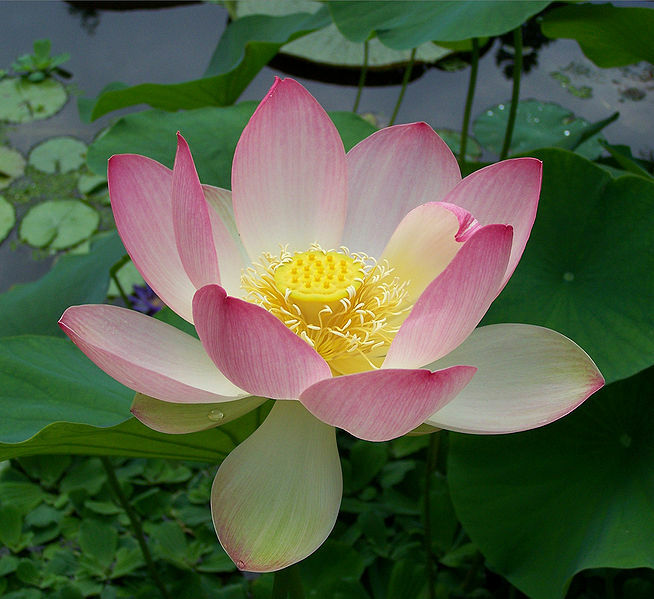 The Darma, meaning the teachings of Buddha. The Sanga, meaning the community of practicing Buddhists. The Four Noble Truths: Suffering, all living beings know suffering. The Cause of Suffering, attachment. Release from Suffering, is possible through he release of attachment. The Path Leading to the End of Suffering (Nirvana), the Noble Eightfold Path. For more detailed information on the Buddha lists see the Barbara Stone’s The List of Buddha Lists and Wikipedia’sBuddha’s Lists. This is just in from the Ven. Bhikkhu Bodhi. J.D. Buddhist Global Relief came into being in June 2008, born of the conviction that Buddhists should play a more active role in helping our unseen brothers and sisters around the world emerge from the crushing weight of poverty and social neglect. Inspired by the Buddha’s great compassion, we chose chronic hunger and malnutrition as our special focus. Our programs are intended to help people escape this brutal trap by promoting more sustainable methods of food production and more equitable systems of food distribution. We also sponsor the education of poor children, especially girls, and right livelihood opportunities for poor women, enabling them to earn more to feed their families. a greenhouse to grow produce for the poor in the Maryland-Pennsylvania region of the U.S.
Today BGR is playing a major role in representing Buddhism on the stage of global giving. Last year, we were even invited to participate in conferences on collaboration in poverty alleviation at the White House and the National Cathedral. These led to several partnerships with Oxfam America on projects in Cambodia and Vietnam. Recently Tricyleand Buddhadharma, two major American Buddhist journals, featured articles about BGR (please see Tricycle’s Feeding the world’s hungry and Buddhadharma’s Buddhist Global Relief articles). We want this Buddhist presence to flourish, visibly representing the compassionate spirit of the Dharma in ways made urgent by the terrible persistence of poverty and malnutrition. We’re doing our utmost to turn back this tide, but we can’t achieve our goals without help from friends who share our ideals and resonate with our values, good-hearted people like you. Your donations are the key to everything we do: to combating hunger and malnutrition, to educating poor children, to helping those who cannot help themselves. And because we’re an all-volunteer organization, we use the funds we receive prudently, with care and discretion, to ensure that over 90% of every dollar goes directly to finance projects. As we come to the end of 2011 — the time for selfless giving — please bring forth a heart of generosity for the world’s poor and hungry people, who need a helping hand in order to rise up and stand on their feet. Please give generously. When you give, you become a part of our mission, a partner in our endeavor to express compassion in action. Bear in mind that to give is to receive, to experience the joy of offering others the chance to live with dignity and hope. If your company has a Matching Gift Program, please enclose the necessary forms as well. 9:30 a.m. Check-in • 10:00 a.m. Walk • Rain or Shine! -FREE VEGETARIAN PICNIC LUNCH AFTER THE EVENT! 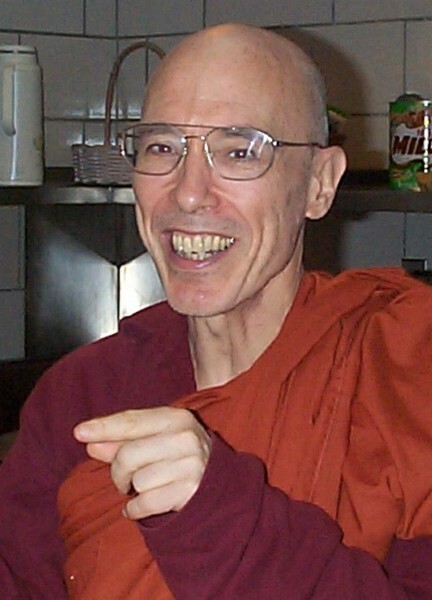 Photo credit ~ Bhikku Bodhi, American Buddhist monk, taken in 2003 by Ken and Visakha Kawasaki licensed under the Creative Commons Attritution-Share Alike 3.0 via Wikipedia. We do not represent or speak for the Insight Meditation Center (Vipassanã Buddhism) in Redwood City, California, U.S.A. 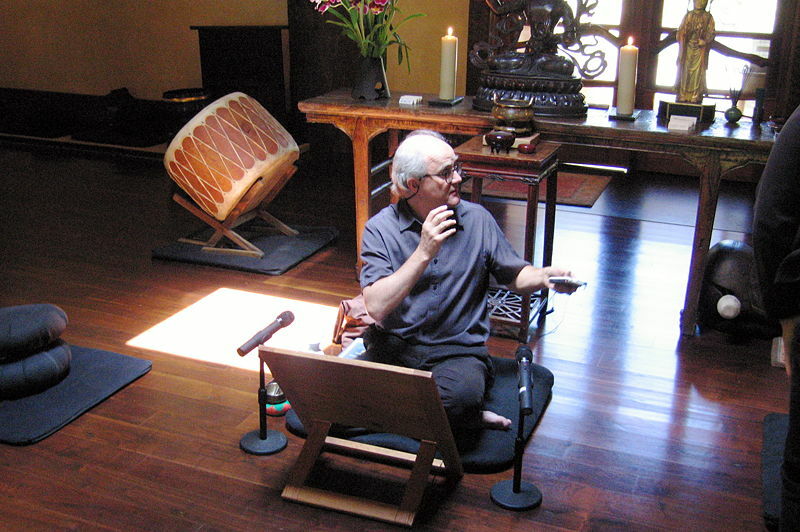 However, we did want to be sure that our Bay Area friends and readers know about this new retreat center and that our readers from around the world know they can link anytime and from anywhere to IMC’s audio dharma where they can listen to discourse and classes by some very dear and wise Buddhist teachers. We are all greatful for the benefits we have received from this sangha and its teachers, especially Gil Fronsdal and M.B. J.D. Video posted to YouTube by insightmed . Link HERE to make a donation. Photo credit ~ Insight Meditation Center, Redwood City, CA , all rights reserved. In this video, Stephen Batchelor presents his view of Karma and Rebirth and the reasoning that supports his perspective. Video posted to YouTube by ForaTv. Born and raised in New York City, Bhikkhu Bodhi lived as a monk in Sri Lanka for almost twenty-four years, eighteen of them as the editor for the Buddhist Publication Society in Kandy. He now lives at Chuang Yen Monasterynear Carmel, New York. Ven. 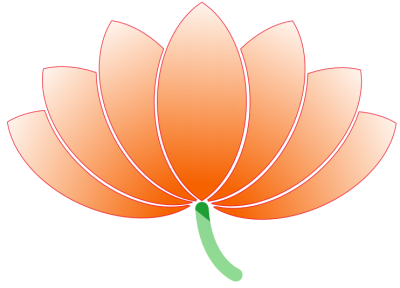 Bodhi has many important publications to his credit, either as author, translator, or editor, including The Middle Length Discourses of the Buddha (Majjhima Nikaya, 1995) and The Connected Discourses of the Buddha (Samyutta Nikaya, 2000). A full translation of the Anguttara Nikaya is nearing completion. In 2008 he founded Buddhist Global Relief, which provides relief from poverty and hunger among impoverished communities worldwide. He was recently appointed to serve on a global task force charged with preparing a framework on interfaith collaboration on poverty alleviation, health, and development. I was fortunate recently to attend a daylong program exploring traditional and contemporary approaches to Socially Applied Buddhism. The program was lead by Bhikkhu Bodhi, founder of Buddhist Global Relief (BGR), an inter-denominational organization of Buddhists and friends of Buddhism. I like what this organization is doing. My appreciation is not just for the social issues it addresses, which are dear to my heart, but for the way it is implementing its program. BGR limits its administrative costs. Everyone who works for BGR does so as a volunteer. BGR efficiently partners with international, regional, and religious organizations. Funding and services are not dependent on Buddhist affiliation and BGR does not proselytize. (I have yet to see a Buddhist organization that does.) All religions are respected. Those efforts and organizations that receive funding from BGR are fully vetted to ensure that BGR funds directly serve the people for whom they are intended. BGR has funded sustainable and emergency food programs and education programs in venues throughout the world including: Afganistan and Pakistan, South Africa, Cambodia, and Vietnam. It is also working here at home, a first world country with shamefully growing hunger issues. BGR’s first and current project here in the States is Garden Harvest‘s Adopt-a-Plot Program,which seeks to find the means to provided our over-stressed emergency food agencies with a way to ensure a reliable supply of quality food. Currently that pilot project is being implemented in Maryland and Pennsylvania. The hope is that it will prove effective and provide a model to be implemented around the country. If you are looking for an organization to which you might make a donation that will really go to work, I recommend this one as worthy of consideration. Buddhist Global Relief is a 501 (c) (3) organizations and gifts are deductible to the extent allowable in the U.S. under IRS legislation.